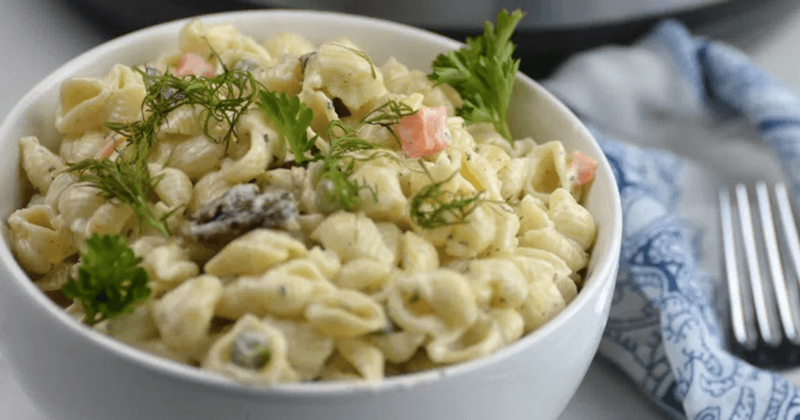 People are always on the lookout for fast, easy ways to cook meals, and it’s even better when there’s less cleanup involved. The most recent cooking craze to the “must-have kitchen cache” is the Instant Pot®. 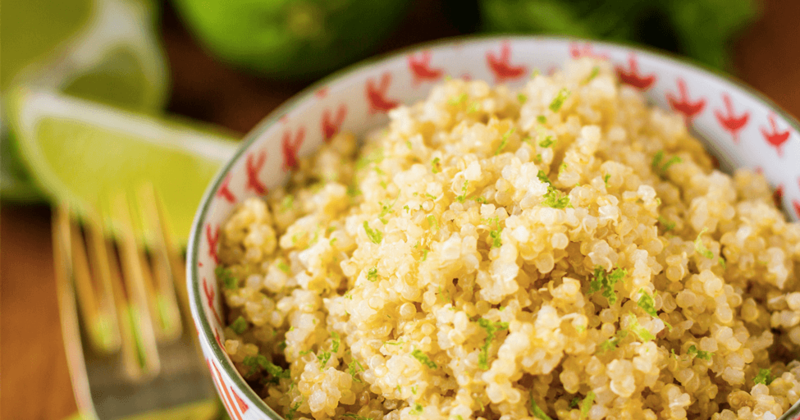 It seems everywhere you turn, you’re seeing more Instant Pot® reviews and must-try recipes. 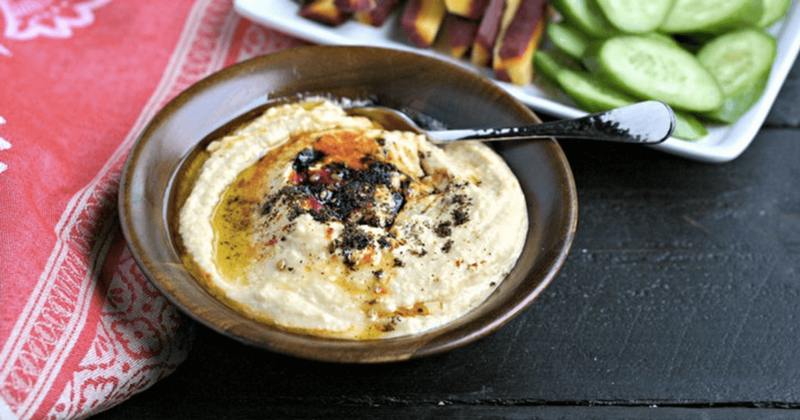 These electric pressure cookers are touted as a faster alternative to the ever-trusty slow cooker, and have developed something of a cult following on social media that often results in a throwdown between Instant Pot® vs Crock-Pot® fanatics. 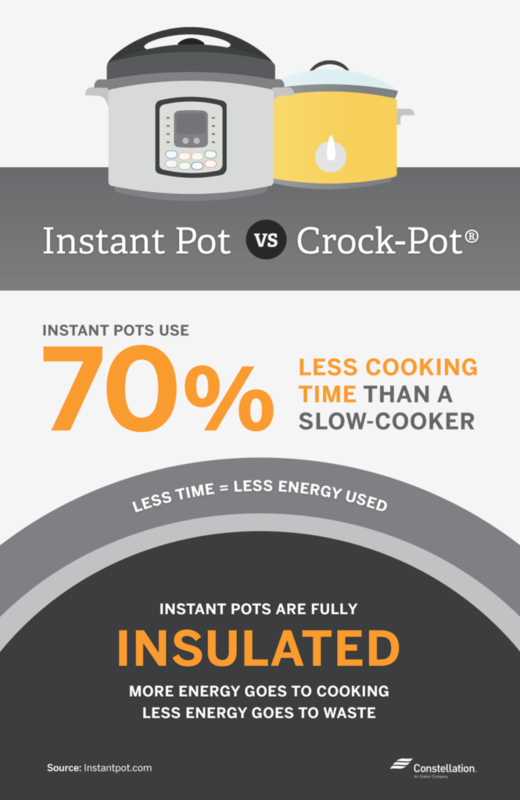 However, when comparing the two, Instant Pot® energy efficiency may make it the cream of the crop. 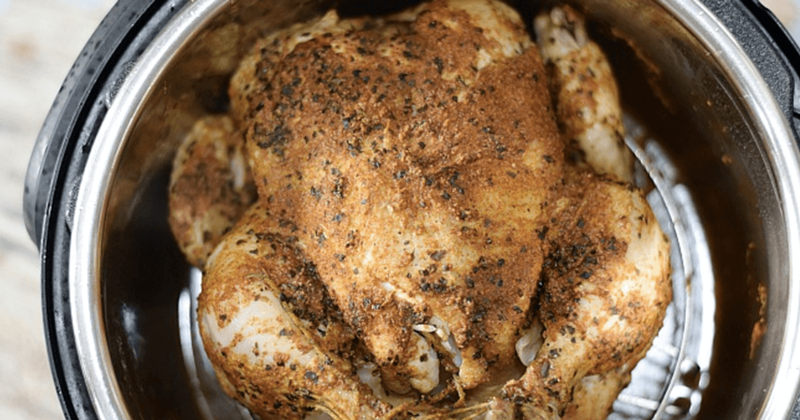 Is pressure cooking energy efficient? While the dozens upon dozens of Facebook groups and Instant Pot® reviews may convince you of the effectiveness of the Instant Pot® for making delicious meals in a hurry and provide you with Instant Pot recipes that will make you look like a gourmet chef, what many of these Instant Pot® reviews aren’t sharing is information about pressure cooking energy efficiency, nor are they discussing the differences between Instant Pot® and other methods of cooking. 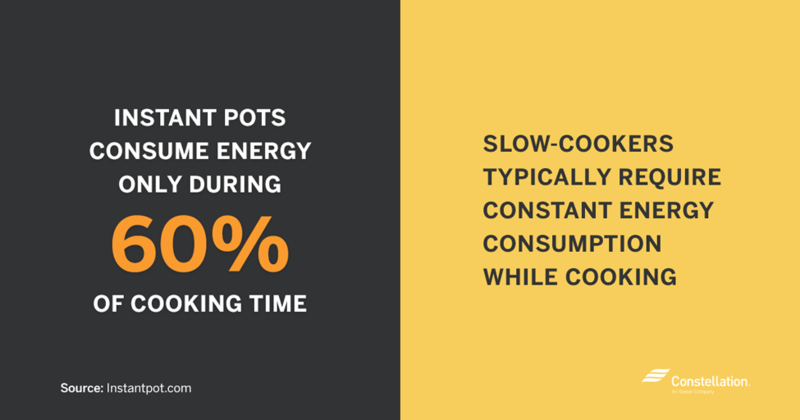 We have touched on these points with the Crock-Pot®, so it was only natural that we dig into information about overall Instant Pot® energy efficiency. When it comes to pressure cooking, energy saving is the name of the game. There are a number of direct and indirect effects you’ll see when using an Instant Pot® vs. Crock-Pot® cooking. Energy efficiency comes in the form of less power consumption, less water waste, and even less heat output affecting your home. Reduced direct energy consumption – Pressure cookers have long been known to save energy by cutting cooking time significantly, and Instant Pot® energy efficiency is no different. With up to a 70% reduction in cooking time with pressure cooking, energy saving is effortless, as the energy used to power the cooker is significantly less than that required to cook the same meal in a Crock-Pot®. Additionally, the exterior of the Instant Pot® is thoroughly insulated, which allows the unit to concentrate more energy use on cooking rather than have it wasted as radiant heat. 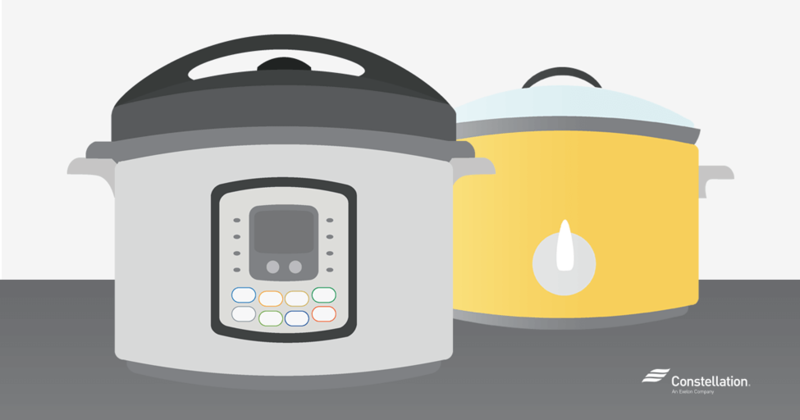 Internal heat monitoring – The Instant Pot® monitors the internal temperature of the device when cooking and will stop heating when the unit is at temperature. 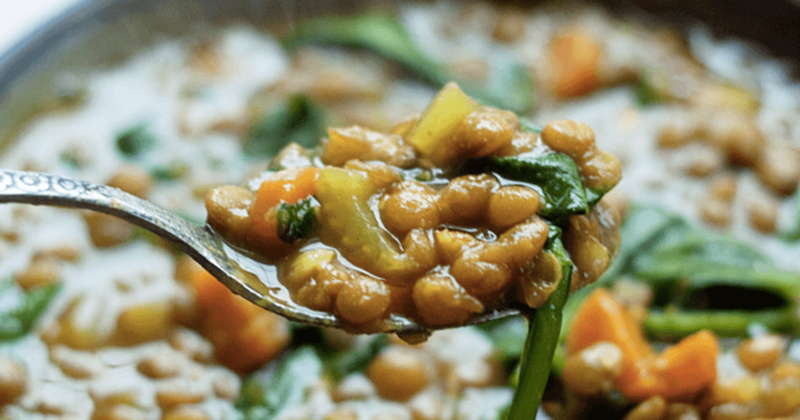 In many cases, the Instant Pot® is only consuming energy to heat during 60% of the time required to cook a meal, unlike slow cooker meal preparation, which typically requires constant energy consumption while cooking. 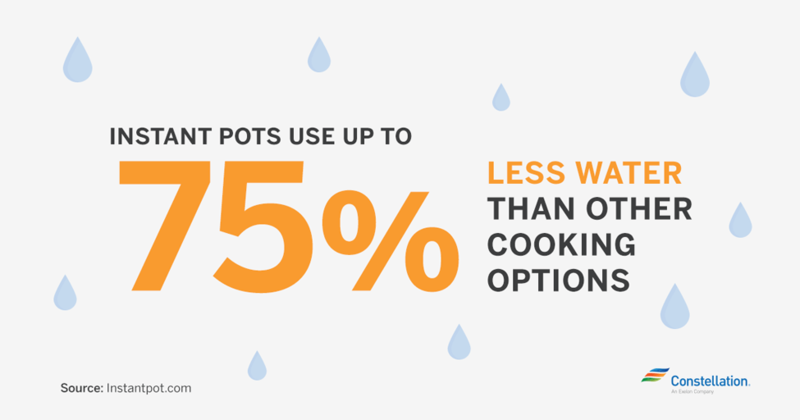 Smaller amount of water required – One of the best pressure cooking energy saving features is the need for less water, even when preparing steamed Instant Pot® recipes. The unit fully seals so that steam can’t escape, which allows for up to 75% less water to do the job over other cooking options. These indirect energy savings from reduced water consumption can add up over time. Less heat output – One of the worst things about turning on an oven or stove is that it can heat up your kitchen in a matter of minutes, especially during the summer months. Even a Crock-Pot® can become hot to the touch. Your home cooling system will have to work harder to maintain the temperature in your home when you’re using a cooking method that has a high heat output. 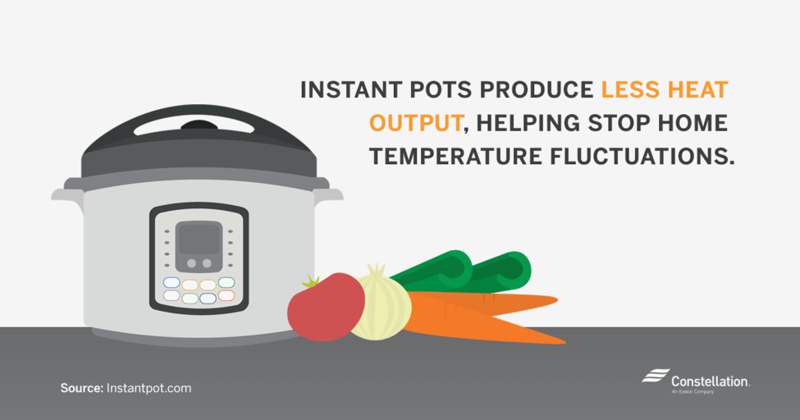 The Instant Pot® does not give off large amounts of heat when in use, so it eliminates that issue almost entirely, saving the energy that would be wasted on cooling your home back down after cooking. Finding ways to save energy around your home has benefits for your budget and for the environment. Adding an Instant Pot® to your kitchen will give you the energy saving benefits you want and help save time on meal prep with delicious options to feed for your family. 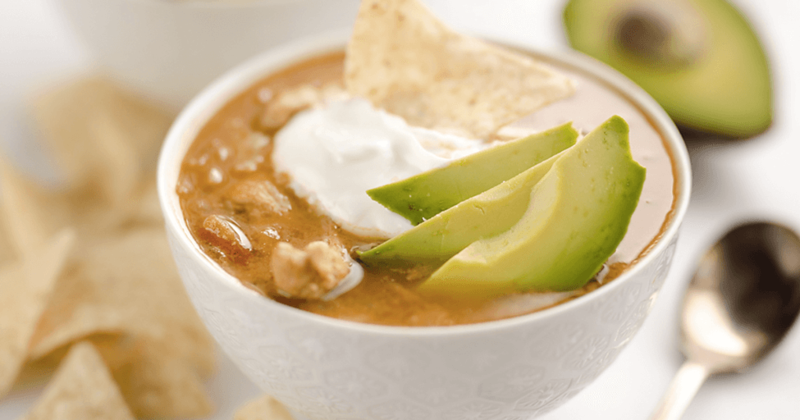 Are you already a fan of the Instant Pot®? Share your favorite recipes with us! This made the best roast beef dinner. 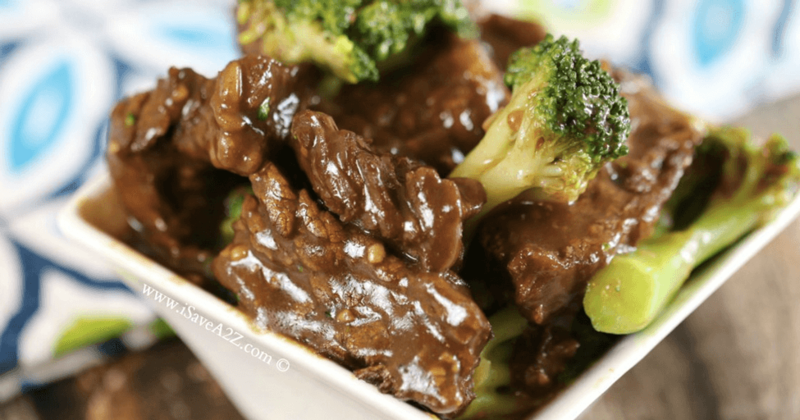 Love this instant pot. Yum! Thanks for sharing, we’re glad your instantpot is working well. My family and I are moving overseas and will be using solar power. Is the Instant Pot better for use on Solar than a small crock pot? Many of our future co workers have the small crock pots, yet there is a rule of nothing with a heating element.. So that must not be a must rule..? Anyway. I want to bring my 8 qt instant pot, and am curious as to the power consumption compared to the small crock pots I saw around when we visited. Solar power is a great energy option, we’re happy to hear about your renewable energy efforts! If you’re using electricity on a solar energy plan, then an Instant Pot would work fine. However, if you’re using solar energy with your own panels and not hooked up to extra energy backup, then you would need to check if the kW used in your Instant Pot can keep up with how much energy your solar panels produce. We suggest contacting your solar provider to get this info! Comparing the two makes sense. However, an electric pressure cooker will cost more to use than a simple pressure cooker as for many people gas is much cheaper than electricity. Nom, indeed using gas to heat food is more cost-efficient than electricity! If you choose to use a pressure cooker on a gas stove, that will most likely cost less. However, electric cookers are safer to leave alone for periods of time.